What is Speech Language Pathology? How do we explain it to kids and families? Speech Language Pathologists can help children learn communication and feeding and eating skills, as well as assisting understanding and processing language skills. Some kids don't learn communication skills "naturally." These children need to be taught these skills. A Speech Language Pathologist can support you and your child to work out what is needed. Information on Speech Language Pathology is listed below. We have a one pager explaining SLP to families - take a look and let us know your thoughts! The More Than Words Program was designed specifically for parents of children ages 5 and under and on the autism spectrum. Addressing the unique needs of these children, the program provides parents with the tools, strategies and support they need to help their children reach their full communication potential. Boardmaker allows you to create visual schedules, communication books, interactive activities, speech output boards, and more. Boardmaker activities can be used in the inclusive classroom, special education classroom, speech therapy sessions, out in the community and at home. It is most useful when you want to support students' language and literacy goals through differentiated instruction, while providing learning they enjoy. Key Word Sign Australia (KWSA) was formerly known as Makaton Australia. Key Word Sign is the use of manual signs and natural gesture to support communication, and is used to encourage and support language development in children and adults with communication difficulties. Includes an illustration for each sign, hints to help remember and teach the sign to children, other English words associated with the sign, a description of how to perform the sign, State usage information, context usage and includes signs never documented before such as extreme sports and internet terms. Lots of items and information available for free, and then courses and books available at a cost. 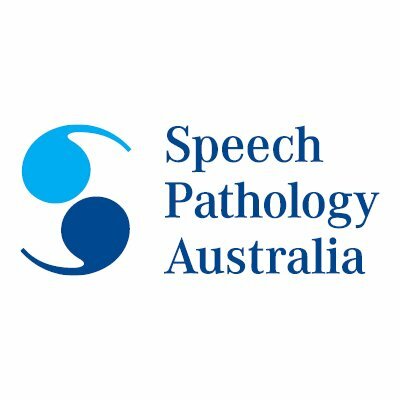 A great website to be aware of - lots of great SLP information including AWESOME information sheets in Easy Read English. This website is great! Lots of great and easy to read info for families and professionals.